Sri Lanka head coach Marvan Atapattu has said the absence of Saeed Ajmal was a psychological boost for the home side ahead of the three-Test series against Pakistan that begins in Galle on Wednesday. "The major change that I see in this Pakistan side is that Saeed Ajmal is not there," Atapattu said. "He has been their main weapon and it's somewhat unfortunate that things have fallen that way. Teams have to face such situations. "It's a psychological thing when you know that Ajmal at his peak made not only the Sri Lankans but a lot of batsmen think," he said. "He gave a lot of them sleepless nights. Now that he is not there it's a psychological advantage to us but still you've got to respect the good ball and put away the bad ones. That's the mentality I expect our players to be in. "I believe they've got bowlers who could win games but at the same time they haven't done it yet." Atapattu was, however, upbeat about Sri Lanka's bowling, especially with the "coming of age" of their fast-bowling unit. Atapattu said the upcoming series was important because it was the start of a new era for Sri Lanka cricket. "We are getting into a new era without the two big guns Mahela Jayawardene and Kumar Sangakkara at some point in time in the series. It's a new challenge for the players in different slots and hopefully they will grab them and hang in there for a long time," he said. Jayawardene has retired from all formats of the game at the conclusion of the 2015 World Cup while Sangakkara is expected to do so during the series against India coming up in August. 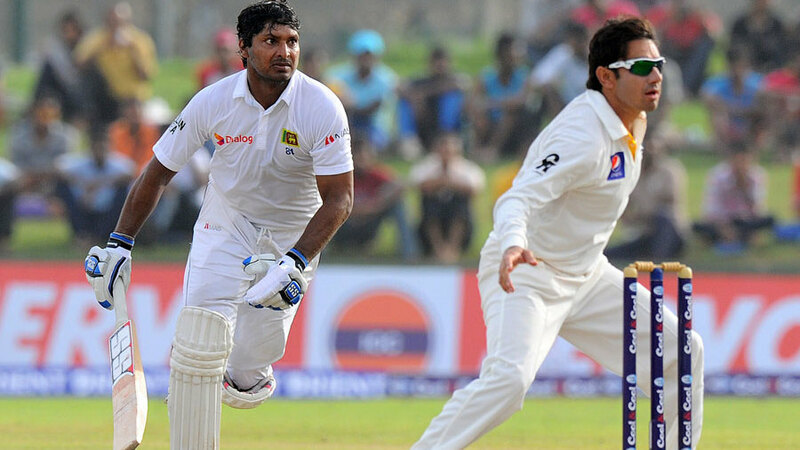 Sangakkara is currently playing for English county Surrey and will join the Test squad in Galle. "Our fast bowlers are more disciplined than a decade ago if you exclude Chaminda Vaas who was in a different class," he said. "We are trying to bring in more discipline to our fast bowling unit and hopefully we will see results. "We don't have anybody who bowls at 150kph at the moment but you really don't have to. You don't need to be fast to trouble a batsman. We are more equipped in our unit to combat situations." Drop in fielding standards has been an area of concern for Sri Lanka in the last few months, following which the team roped in the services of Jonty Rhodes. Atapattu said the players have worked hard in that area. "Jonty Rhodes coming to Sri Lanka doesn't mean that we are going to hold onto every catch that comes our way," he said. "What we expected from Jonty was to give us new tips and techniques so that we can improve our players and to work on them, which we are doing through our local coaches who are capable. "Our fielding can improve not only because of Jonty's contribution but it could be because the conditions are different here and more suitable for our guys. We know our conditions better than anybody else." The majority of the players in the Lankan squad will be coming out of a three-month break from cricket which according to Atapattu was a long-felt need. "We've been playing cricket since November 2014 and it ran upto the March 18, 2015 without a break other than the 10 days we got between the New Zealand tour and the World Cup," pointed out Atapattu. "It's been good but on the other hand some players have been playing there cricket elsewhere like in IPL, and in England. Very few had nothing and actually had a rest of three months."